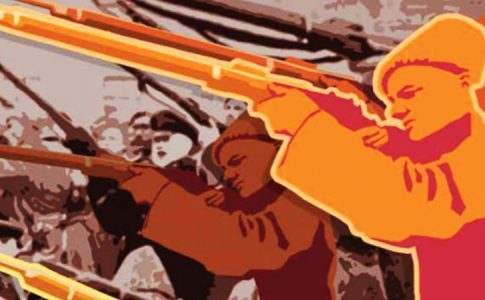 Published below is a summary of the platform put forward by the Courant Communiste Révolutionnaire (CCR – Revolutionary Communist Current) and other militants for the upcoming Congress of the Nouveau Parti Anticapitaliste (NPA – New Anticapitalist Party) scheduled for the first weekend of February. 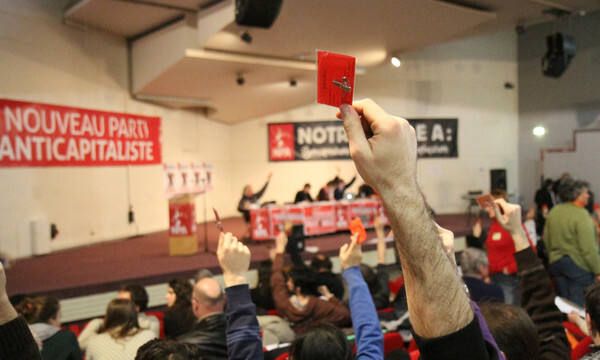 The Fourth Congress of the Nouveau Parti anticapitaliste (NPA – New Anticapitalist Party) will take place in February, at which different platforms (Platform Z, Y, X, W, V, U, etc.) will be presented. Platform Z is the product of the coming together of militants from the Courant Communiste Révolutionnaire (CCR – Revolutionary Communist Current), sponsors of the Révolution Permanente website, and other NPA members. The platform proposes to bring together the party’s militants around an openly revolutionary and class-struggle project, and to continue and further develop the strengths of the campaign of Ford worker Philippe Poutou (see here and here) during last year’s presidential elections. After the experience of the Tsipras government in Greece, the upcoming NPA congress ought to clarify its understanding of the new reformist phenomena that have emerged in recent years, to which the NPA has until now had an ambiguous attitude. This is indispensable for its orientation, given the emergence of the left-reformist France Insoumise (Unsubmissive France) of Jean-Luc Mélenchon. From the Front de Gauche (Left Front) through to Syriza and Podemos, the NPA from the beginning has been torn between two major projects: that of an independent anti-capitalist and revolutionary party and that of a recomposition with part of the reformist left. This tension led to the split of a significant part of the NPA leadership in 2012 to join Ensemble (Together). Even though the current formula for the latter project is one of a “new representation of the exploited and oppressed,” its organizational framework follows the idea and scheme of the “broad party,” with which the NPA has been aligned since its foundation. While all experiences of this kind have led to failures or a strong adaptation to capitalist institutions in several countries, a part of the NPA leadership strives to maintain its ambiguity about what is at the heart of any party project, namely the social project that it defends and the means to achieve it. This is all the more serious because, after the 2016 National Conference, the party came out in favor of an independent candidate for the presidential elections, Philippe Poutou. The impact achieved by that campaign has shown in part that with a very radical position and a strong class character, the NPA can make its voice heard. The campaign also showed that it was possible to overcome the divisions and establish a real common practice among the diverse opinions within the party. Therefore, there was the possibility of translating the relative success of this campaign into points of support for the revival of the party around a revolutionary, working-class profile and project. Nevertheless, we are heading towards a completely different congress, with the constitution of a platform (Platform U) grouped around an ambiguous text from a small sector of the leadership that identifies with the majority of the Fourth International (The United Secretariat), despite all the disagreements around strategy and orientation that its members have and continue to go through. The justification for the constitution of this bloc is fairly simple: the NPA would be paralyzed by its internal divisions, and only a new majority can restart the party. The constitution of this new majority thus becomes an objective in itself, unrelated to any orientation and party-building project, even if it means hiding behind phrases whose purpose contradicts the real disagreements that exist. Examples are the idea of ​​a “mass revolutionary party,” advocated by some, and the proposal of a “new political space for the 99% of the population” that others are calling for. The members of Platform U have been or are in disagreement about almost every important political issue that has arisen in the NPA during the last period: the position of the party towards Syriza and Podemos, the candidacy of Poutou, whether the party should itself stand and not call for a vote for Lutte Ouvrière (LO – Workers’ Struggle) in the legislative elections, etc. It is evident that such a bloc will not revive the NPA and will not even be able to maintain itself as soon as a semblance of a process of left regroupment or the next round of elections (the European elections in 2019) sees the light of day. Above all, it will not allow the NPA to face the challenges posed by the political situation. 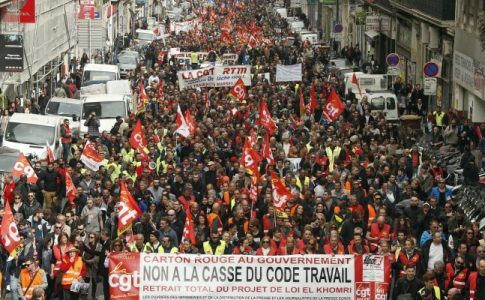 Although the election of Macron and the defeat of the struggle against reforms to the Code du Travail (Labor Code) (see here and here) opens a reactionary enough situation, the deep tension between the president of the rich and the labor movement that has always hated him is far from over. This is evident in a series of harsh local conflicts that are currently taking place, in particular against the introduction of new enterprise agreements (more favorable for businessmen than industry agreements, as provided for in the new Labor Code reforms of Hollande and Macron). Among these conflicts, the victorious strike of the cleaning workers at the railway stations of Île-de-France (the region of Paris) against the giant subcontractor Onet and the French train company SNCF is representative of the contradictions of the political situation and the possibilities of intervention for the NPA. That struggle reflects a new determination that is maturing among the most precariously employed sectors of our class and one that should interest us. But it is also the result of a decisive intervention by NPA comrades, which shows in a small way the party that we want: a revolutionary party that takes each fight as a “school” of combat and seeks to be a tool that leads workers to victory. Forty-five days of strikes and overwhelming support with around-the-clock picket lines and daily general assemblies in a sector of super-exploited immigrant workers not only allowed the strikers to stop the attacks but also to gain new victories. 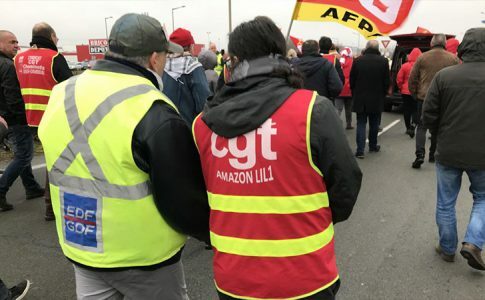 The high prominence acquired by this local struggle and a vast support network gave the strikers much-needed moral support as well as numerous solidarity actions and the collection of 100,000 euros for the strike fund. These are equally important elements in the outcome of the conflict. The success of this struggle was also the result of the links forged between different struggles — from the feminists of the #MeToo movement to the Holiday Inn strikers, who have been on strike for two months, and the members of the Justice for Adama Committee [Adama was a young African man who was racially profiled and then killed by the police. His case has shone a spotlight on institutional violence in France]. Adama’s sister Assa Traoré showed up at the picket line as the daughter of one of the workers who had started the strike, and expressed how closely this sector of the working class is linked to the youth in the neighborhoods. Beyond the limits of the case, small as it is, we think it is an example of what the NPA should do in the period that is opening up: seek to merge with the processes of resistance within our class in order to make small experiences that help to rebuild the confidence and prove the usefulness of our party. In the medium term, the task is to prioritize the implementation and intervention in the working class, not from an economist or workerist point of view but, on the contrary, from a conception according to which the centrality of the working class, from a revolutionary perspective, can only be realized if it is linked to all the struggles of the exploited and oppressed. 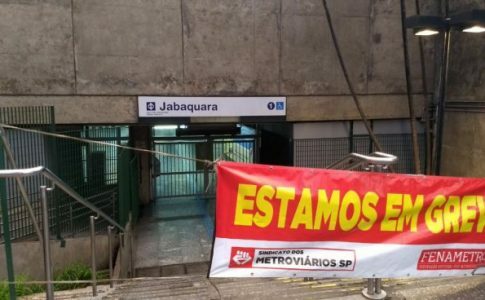 In this sense, our priorities of construction and intervention are inseparable from our project of overthrowing the capitalist state through the workers’ power that comes from mobilization with the perspective of a society without classes and without a state, i.e. communism. But it is also the best way to prepare ourselves to try to play a role in the big class confrontations that may arise, unlike the movements against the Pension Law (2010) and the Labor Reform (2016), in which the party played a very limited role. A large sector of NPA activists shares the perspective of a more openly revolutionary party with a center of gravity in intervention within the class struggle. Unfortunately, the different political opinions within the previous Platform A of the last National Conference (the platform that brought together the majority of the left in the NPA) are presented under six different platforms and therefore do not offer a real alternative to Platform U. This is a scenario that we deplore. As members of Platform Z, we have tried to avoid it by promoting the widest possible regroupment of the left of the party, especially because, although there are differences on orientation (on programmatic issues, on Catalonia, on the Social Front), they do not justify the existence of six separate platforms. We are convinced that it is not too late and that in the process of the Congress convergences could take place, particularly around a joint declaration. To bring together all the militants of the party who refuse to restart the machinery of composite majorities (which for years has held the party at an impasse) and who wish for the NPA to move forward, on the basis of its own experience, in the clarification of its project and its priorities; this is the objective for which platform Z is created. This article originally appeared in French at La Izquierda Diario. The complete Platform Z can be read in French here.